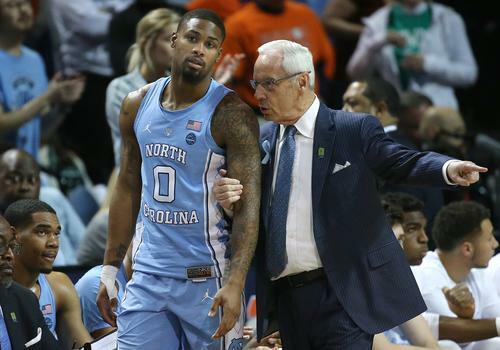 Roy Williams has been a walking paragon for coaching in the amateur ranks. He quite honestly belongs in a discussion the all-time great coaches in basketball period. A good measure his skill as a teacher seems to be summed up by his win at all cost attitude, today's pregame antics a case in point. The game is currently at the halfway mark with North Carolina sporting a comfortably lead over the low seeded Lipscomb Bisons. Although we'll never how much an advantage he may have gained with this ploy, the Tar Heels will always be heavy betting favorite as long as Roy is at the helm. Tune in for the second half if you can.